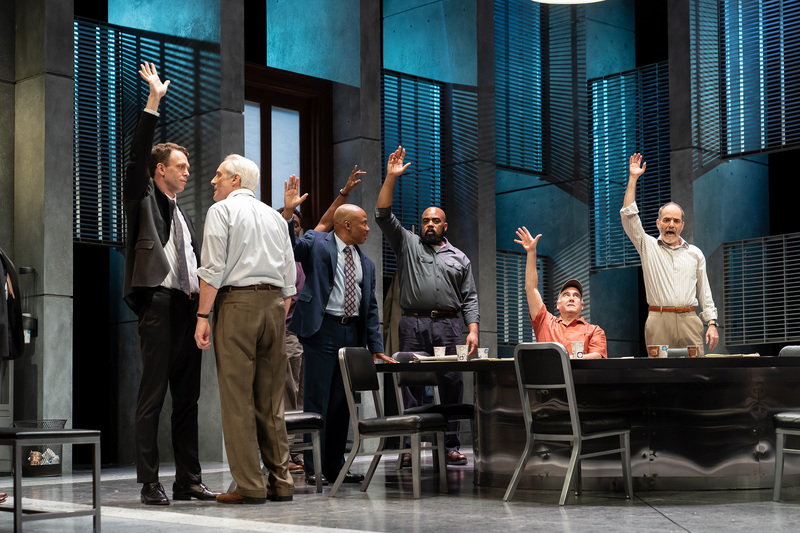 Addressing Racism and Implicit Bias Through the Study of Reginald Rose's "Twelve Angry Men"
Is it possible to get a fair trial in America? This question was explored in our production of Twelve Angry Men, wherein half the jurors were played by white men and the other half were played by black men. Little by little, the audience saw how each juror brought his own biases to the courtroom and how those biases affected the verdict. Cast of the Ford’s Theatre production of "Twelve Angry Men," directed by Sheldon Epps. Photo by Scott Suchman. Ford’s Theatre regularly hosts a Teacher Preview Workshop for educators who attend the show with their students. This workshop helps educators teach the play or musical and provides them with a lesson plan, discussion questions and character descriptions. 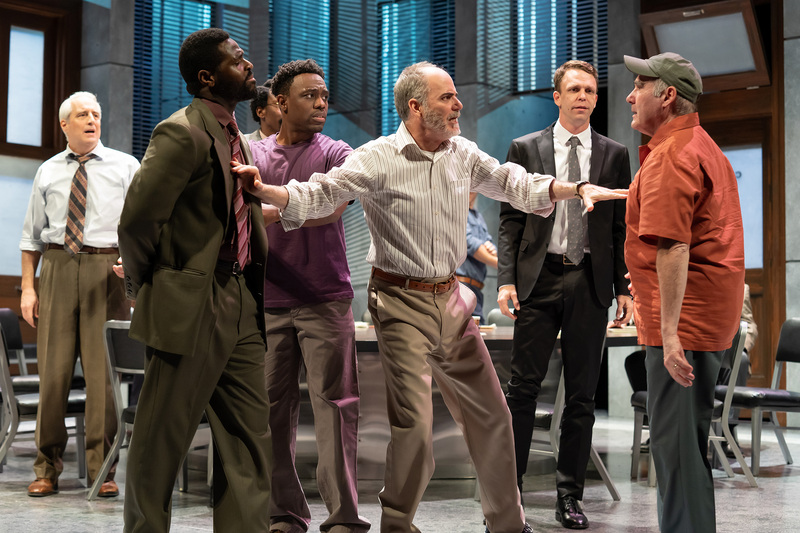 As the site of a racially-motivated political assassination, the Ford’s Theatre education team recognized that Twelve Angry Men provided a unique opportunity to do some meaningful work around implicit bias, systemic racism and their impact on our society. We partnered with Challenging Racism, an Arlington-based group that provides workshops and training on better understanding white privilege, racism and it roots, and racism's modern manifestations in our society. Through a grant from the DC Commission on the Arts and Humanities (DCCAH), we could offer two workshops for area teachers, in addition to our planned Teacher Preview Workshop for the production. Some participating teachers were bringing students to a matinee of Twelve Angry Men and some were not. All the participating teachers were interested in developing their ability to talk about race in their classrooms and to better understand the biases that affect their students’ lives. 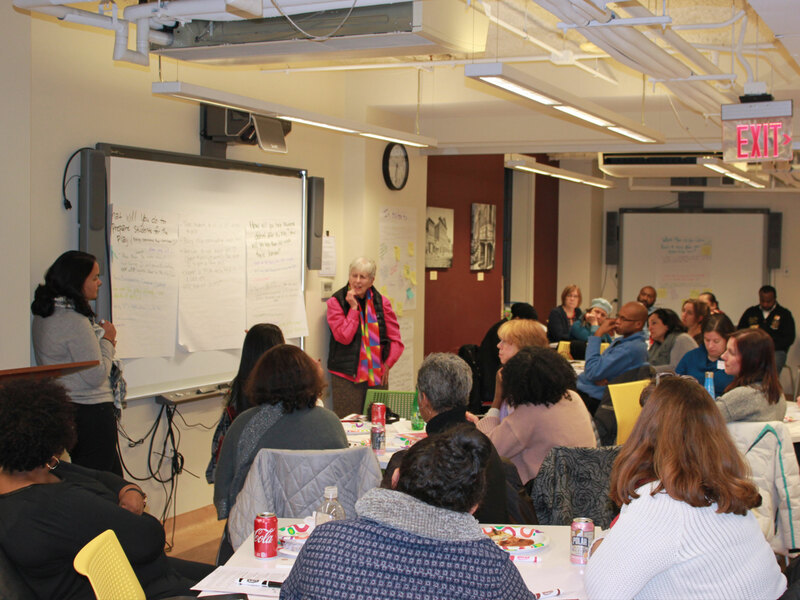 In two in-depth sessions led by Challenging Racism facilitators and one reflection session with Ford’s staff and Challenging Racism facilitators, 30 D.C-area teachers learned about systemic and institutionalized racism and implicit bias. We learned about concepts like redlining, a term used to describe a variety of discriminatory housing practices against African Americans and other non-dominant cultures, which is often supported and promoted by federal policies in the United States. The result of redlining was entrenched, systemic and institutionalized racism. We learned that this institutionalized racism has had reverberating effects over many generations, causing a disparity in wealth and education, and creating apartheid-like segregation within the United States. Teachers listen to Challenging Racism facilitators at the third workshop. Photo by Sarah Jencks. We explored large, difficult questions like, “Why is it hard to talk about race?” and, “When was the first time you were conscious of race?” in very small groups, often with teachers conversing one-on-one. It seemed there was so much to say, and our time expired each night before anyone truly felt satisfied. After the last session, the teachers attended a performance of Twelve Angry Men. “How do I address the use of racist language at my school and in my community? Turning our one-night Teacher Preview Workshops into multi-visit workshops was an experiment for the Ford’s Theatre education team. As the Challenging Racism facilitators reminded us, these conversations were just a beginning. We know we have a long road ahead of us as we strengthen our capacities to have difficult conversations, confront internal biases and work towards overcoming institutionalized racism and its effects. We look forward to this work and hope to offer more workshops like these for the teachers we serve. Thank you to Challenging Racism for working with us as we begin this important work! Jennie Berman Eng is the Arts Education Coordinator at Ford’s Theatre. A professional playwright, Jennie believes in the power of theatre to spark conversations and build community. Cynthia Gertsen is the Associate Director for Arts Education at Ford’s Theatre. She participated in Challenging Racism’s 11-session workshop for parents sponsored by the PTA at her children’s school in 2015-16. She highly recommends their work!